#Gulzar praising writer #PavanVerma said he has been contributing, preserving and explaining the Indian culture through his brilliant books. Pavan Verma launched his 52nd book titled "Adi Shankaracharya: Hinduism’s Greatest Thinker" along side music composer and lyricist Gulzar on Tuesday. Gulzar when address the audience and media talked about how he knew the brilliant writer "I know Pavan only through his books. He has been contributing, preserving and explaining the Indian culture through his brilliant books. He also does research and while doing that he also wrote books on Chanakya and Krishna. Pavan is a man who walks with the changes in society and explains them in his own words. And his new book 'Hinduism's Greatest Thinker' I launched it read it, and enjoyed it. I understood some of it and some I didn't, but when I read old references and finally understood the meaning of them it felt great." When talking about his collection of books and the reason behind choosing the topics Pavan said, "I have written many books and I think essentially there is a search to try and understand the different aspects to which we are linked as Indians, not necessarily as hindus only. Because my subject is India as a whole and what is happening in India as of now." 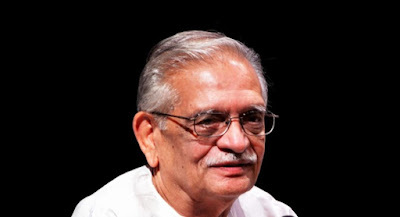 Talking about his favorite chapter in the new book Gulzar said, "My favourite chapter is when he is explaining about the cosmos. He has explained the universe through the shlokas in the writing of Adi Shankaracharya." Pavan is mostly known for his nonfictional books and has written only one fiction novel 'When Loss is Gain. Rain Tree' has been adapted into a Hollywood film.